The Country Inn and Suites is now completely booked for Saturday, March 2. There MAY be a few rooms available for Thursday, Friday, or Sunday nights. For all practical purposes, the Country Inn and Suites is a sell out for NARCON. 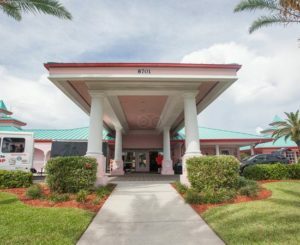 Their Sales Rep recommends the Homewood Suites (immediately across the street) or a Hilton a couple of miles away in Cocoa Beach as next best alternatives. But she cautions that if the Country Inn and Suites is booked out, then the others are likely booking out as well and that people should inquire ASAP. Check the internet for other hotel alternatives in Cape Canaveral or Cocoa Beach. 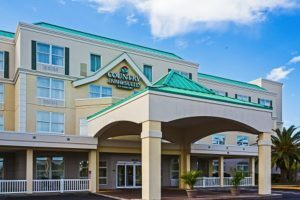 Country Inn and Suites—SOLD OUT! Radisson Resort at the Port—SOLD OUT! The cut-off date to make reservations in this block is February 7, 2019. We have approximately 48-50 rooms available for each night. The special discount is only valid from Friday-Monday. Members needing a room from Thursday to Sunday, or Friday to Sunday, should call the Radisson reservationist number 321-868-6573 to make their reservation and tell them you are requesting a SUITE. There are no more standard rooms available for a 3 or 4 day continuous stay. Tell the agent you are with the National Association of Rocketry and that you have group code of “ROCKET”. Rooms are SOLD OUT at the host hotel, please make your reservations at the Country Inn & Suites list at the top of this page. The Radisson offers airport shuttles to/from Orlando International Airport. $33.00 for one person one way, $50.00 for two people one way and each additional person in the same shuttle is $10.00 per person one way. Any flight between 9:00pm and 7:00am will have a late pick up fee of $25.00 (flat). Shuttle reservations are fully pre-paid at time of booking and must be made in advance of arrival.